Very Impressed with the "Gold Bug Pro"
I finally did it. 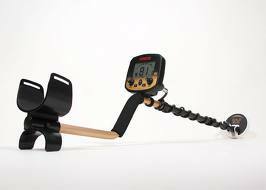 I broke down, shelled out the bucks, and bought myself a Fisher "Gold Bug Pro" metal detector. Thus far I'm very impressed with this lightweight little dynamo of a gold detector and I can't wait to get it out in the field for some real testing. I don't want to go into too much detail about the preliminary bench and outdoor tests I put my "Gold Bug Pro" through this past weekend because I intend to write up a full range of tests for you in the next week or so. Suffice it to say this machine is the single-most sensitive gold machine I've personally used in my entire prospecting, small-scale mining, and treasure hunting career(s). In the past, I've owned (or still own) a White's "Goldmaster II," and I've swung the Fisher "Gold Bug" and "Gold Bug 2." Meaning no disrespect to the other machines here, but when I compare them to the "Gold Bug Pro," well...there just isn't comparison really. Granted, this comparison is a bit unfair because the "Gold Master II" (which I purchased in the early '90s) and the original "Gold Bug" can be considered "ancient technologies" when compared to the design and overall capabilities of the newer gold machines. The "Gold Bug 2" is still a very good and viable machine but if I had my druthers...gimme the "Gold Bug Pro!" "GB Pro" weighs about 2 pounds. You could swing this puppy all day long and never tire methinks. Easy to ground balance. 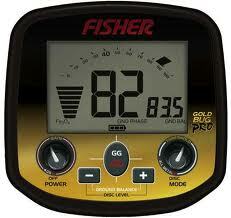 The "GB Pro" has an easy to use touch pad function to automatically ground balance the machine. This auto ground balance works great, by the way. Alternately, if you're stuck in the past, you can manually adjust the machine's ground balance function. 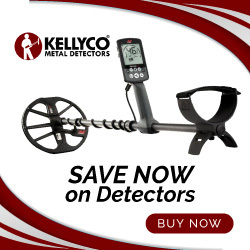 Electronic prospecting and coins or artifact hunting. Normally, I don't think much of gold machines that are dual or triple purpose. But the "GB Pro's" abilities as a gold detector are so strong the fact that it can also be used in discrimination mode for coin or artifact hunting is just more icing on the cake. Anyhoo, I'll have much more to say about this slick little gold machine later. In the meantime, good luck to one and all. If you liked this post, you may want to read: "Gold Detector Reviews: Garrett's 'Infinium LS' (Part 1)"